In CRYSTAR, Rei cuts a deal with the Demons of Purgatory in order to save her sister after they are both sucked into the afterworld. Rei’s job: to fight and defeat the demons that are infesting Purgatory. If she succeeds, her sister’s soul is saved. 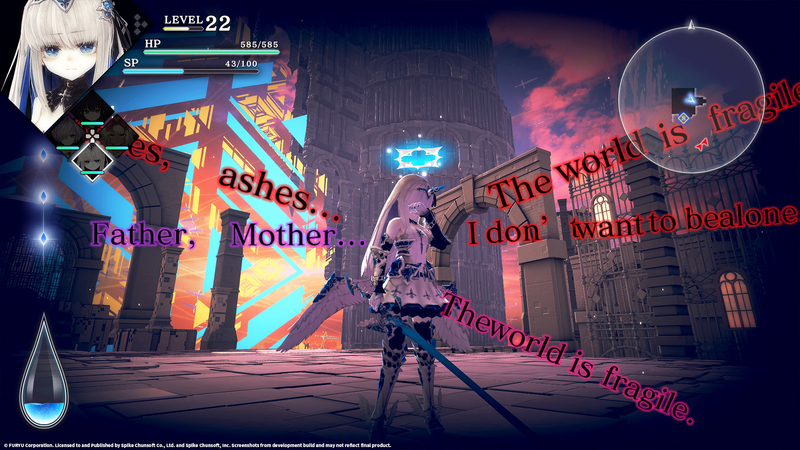 Developed by FURYU Corporation and localized by Spike Chunsoft, CRYSTAR is an action-RPG that shows everyone that tears are not a sign of weakness, but instead are one of strength that can be used to take down evil monsters and strengthen equipment. During GDC 2019, I sat down with Fuyuki Hayashi, the producer and director of CRYSTAR. During our all-too-brief interview, we talked about CRYSTAR‘s storyline, the unique cry gameplay mechanic, and more. You can find out more about CRYSTAR at the title’s official website. [Fuyuki Hayashi as introduced by his translator]: This is Mr. Hayashi, he is the producer and director of CRYSTAR. I am Hiro, the translator. OR: Could you please introduce yourself and tell us a bit of what you’ve worked on in the past? FH: I am Hayashi, the director and producer. I am [twenty-five] now, but when I first began working on this project, I was [twenty]. I have been interested in indie games since I was a student, and even though this game is dark, I wanted people to come out with an experience of having a positive image and reaction to it, and taking away a good message from it after they play. OR: What is CRYSTAR about? FH: I think I would like to start by explaining how the main character’s name came to be, because that will kind of explain the overarching theme. So, the main character, Hatada Rei – her name is derived from the term Πάντα ῥεῖ [OR Note: The English-translation is ‘Panta Rei’, which is a quote by the philosopher Heraclitus], which means ‘All things flow’. And this term symbolizes the whole message that I want people to take away from this game. If you’re feeling pain and harshness today, tomorrow you may be smiling and feeling happiness. OR: What is a bit of the storyline for [CRYSTAR]? FH: The story starts [with] Rei, when she finds herself being taken to another world, and she finds that she has a special power inside of her. When she uses it, she accidentally kills her sister [that] she loves very dearly. While she is wallowing in her sorrow and regret from killing her sister, these demons appear and offer [to] make a contract with her to revive her sister. The game is separated into eight chapters, throughout which she will meet these other playable characters and friends along the way who will help her grow and achieve similar goals with her. They will kind of help her along the way. 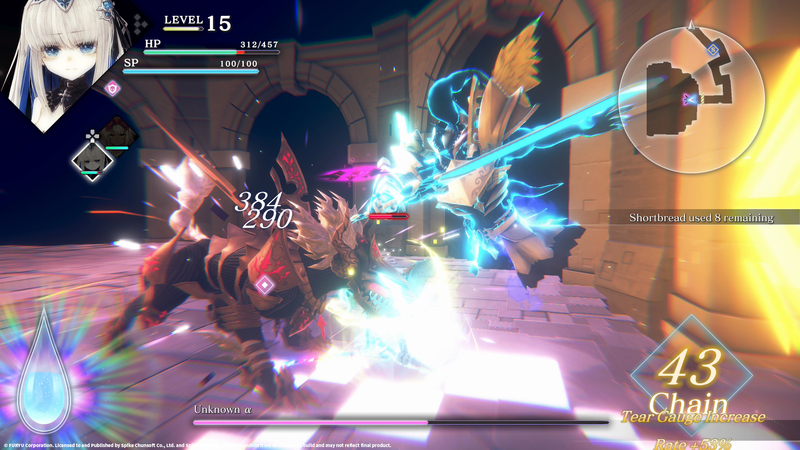 Crying is a gameplay mechanic in CRYSTAR that allows your character to become stronger. (Image courtesy of Spike Chunsoft). OR: One of the unique gameplay mechanics in CRYSTAR is that Rei. Must. Cry. Where did that mechanic come from, and why did you implement it into this game? FH: As I explained earlier with the message of the game, it works into that. [I] wanted to implement that directly into the mechanics of the game. From personal experience, [I] found that by crying, [I] was able to achieve catharsis and be able to move past these hardships and sorrow, and move forward from there. OR: Which came first: The storyline, the mechanics, or the world itself? Did one influence the other? FH: They absolutely did influence each other. As the concepts, they kind of fed into one another and built upon one another. In CRYSTAR, Rei must both fight enemies (above) and take on Torments (as seen below) in order to save her sister. (Images courtesy of Spike Chunsoft). OR: Is there anything you want to say to people who may be interested in picking up [CRYSTAR] when it is released August 27? FH: I’d like to point out that we are very proud of the beautiful and dark visuals of the game, and many people may see the theme and think it is very dark in nature. But it’s nothing like that. There’s absolutely- the game is catharsis, which I think you can achieve by playing through to the end. I really want people to take away a lot from the unexpected and dramatic story. And just enjoy the game, please. You can preorder CRYSTAR (Day 1 Edition) now for PlayStation 4 or on Steam. 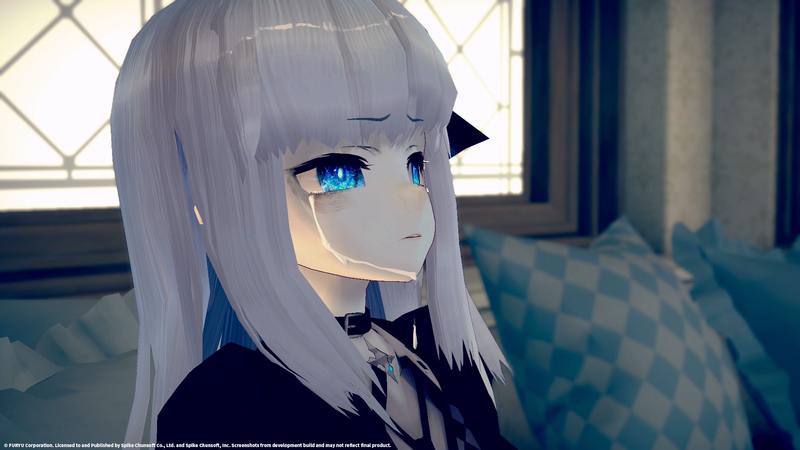 CRYSTAR is set to release August 27, 2019. Are you excited to pick up CRYSTAR when it releases in August? How do you feel about Rei and the game’s cry mechanic?